In June of 2014, Red Hat acquired OpenStack pioneer eNovance to help bolster its global OpenStack portfolio. TechRadar Pro sat down with Raphaël Ferreira, CEO and co-founder of eNovance, to discuss what that means for both companies and the OpenStack community at large. TechRadar Pro: eNovance has recently become part of the Red Hat family. While many of our readers who follow the cloud and OpenStack space are familiar with you, others may not have a full grasp of eNovance's history and contributions to the OpenStack movement. Can you give us a quick overview and background on the company? Raphaël Ferreira: eNovance helps enterprises, ISPs, and telecommunications providers deploy cloud infrastructures quickly and cost-effectively, along with managing a large variety of web applications on public clouds. Over the past four years, we've become known as a customer-driven company and our commitment to the OpenStack platform has enabled us to customise cloud architectures specifically adapted to meet our customer's needs – whether private or public. TRP: Why did you choose OpenStack as your core cloud building technology? RF: We started to build the company around open source technology, and the more we got involved with the project, the more evident it became to us that it was a great solution for most IT challenges. It was at this point that we became fully committed as a company in driving the adoption of OpenStack as a cloud computing platform. With OpenStack we are able to provide continuous deployment, integration and management support. TRP: What are some of the milestones reached by eNovance? 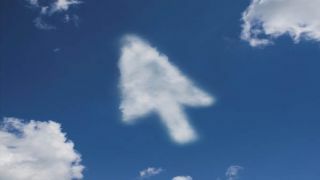 RF: We have helped cloud service providers to launch profitable cloud offerings. Our customer base has grown to more than 150 companies globally, all of whom are powering their businesses with cutting-edge cloud deployments. In the fall of 2013, we began our partnership with Red Hat delivering OpenStack integration services to joint customers, and in June of 2014, we were acquired by Red Hat driving stronger "carrier-grade" features into OpenStack. TRP: How does eNovance and Red Hat fit together? What are some of the synergies that made this a good fit on both sides? RF: As enterprise interest in OpenStack continues to grow, so does the need for specialised cloud services. eNovance has traditionally been known as a leader in OpenStack services for the enterprise, and will immediately add a very deep expertise in OpenStack technologies to a growing core of OpenStack capabilities within Red Hat. Our success in Europe also represents a rapid and immediate global expansion of Red Hat's OpenStack services capabilities. TRP: With the growth of OpenStack products on the market, how does eNovance's offering stand out? RF: One of eNovance's key differentiators has always been the way we deliver OpenStack. Our viewpoint is that Openstack is not a finished product, and should be delivered in real-time based on individual use cases. For those customers wishing to port their workloads onto OpenStack, it is important that they work with a vendor that allows their workloads to scale both when and wherever they're needed. With eNovance now under the Red Hat umbrella, we will be able to offer our customers not only a world-class OpenStack product offering, but also the integrated core advisory and implementation services that allows them to take full advantage of OpenStack the way it was originally meant to be delivered and optimised. TRP: Could you give us some background on OpenStack and the platform's momentum? RF: Considering that OpenStack has just celebrated its fourth anniversary, it is amazing to see the progress that this technology has made, and the maturity of the solution as it stands today. In their latest market research report from August 2014, analysts at 451 Research project that revenue for OpenStack business models will exceed $1.7 billion (around £1.05 billion, AU$1.9 billion) by 2016.